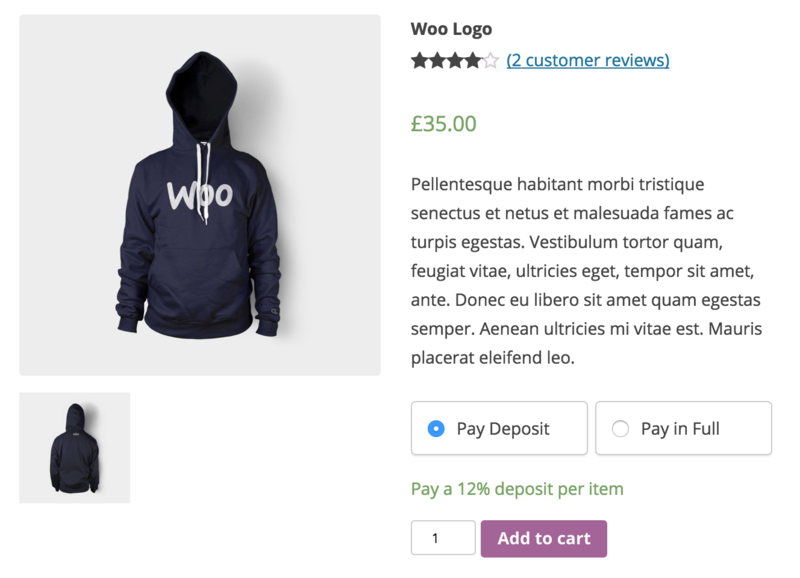 We appreciate your feedback about your support experience with WooCommerce, developers of WooCommerce Deposits. This helps us maintain high standards on the WooMarketplace, and helps WooCommerce improve. 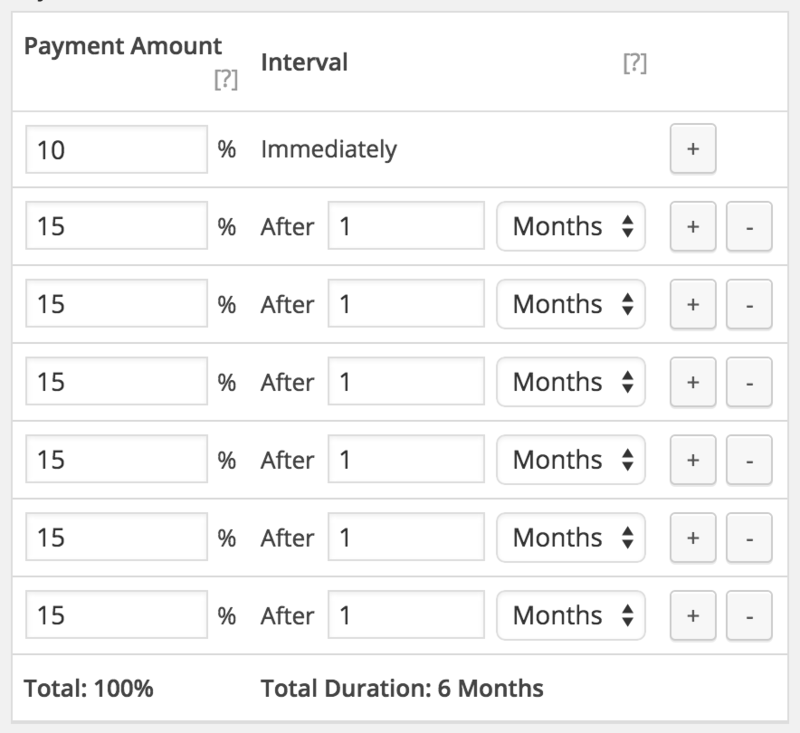 This robust and flexible tool allows you the ability to create custom payment plans, with variable percentages and intervals. Customers are guided through the process of paying for items as they browse and checkout, with easy-to-follow visuals. How the deposit option looks on a product in your store. If a deposit is required for a product. 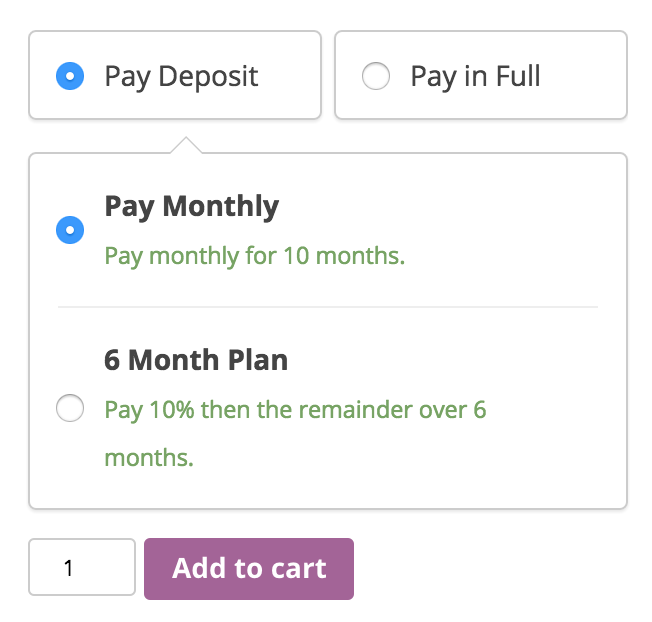 If a payment plan is offered for a product. Manual and automatic recurring payments are not supported in the current version, so credit card data is not stored. Setting up a payment plan.